What a great night! Toddlers came to the party all dressed up in their costumes walking (and at times waddling) around the school. 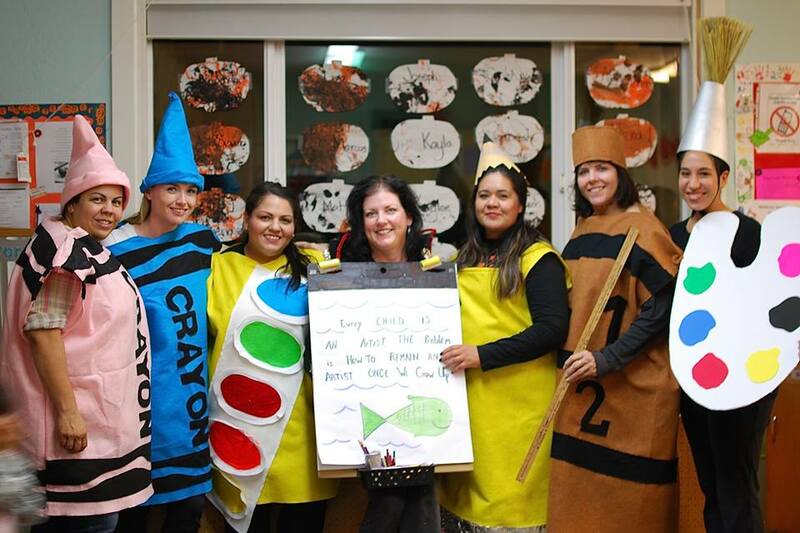 Some moms and dads got into the festivities and came dressed in costumes as well. 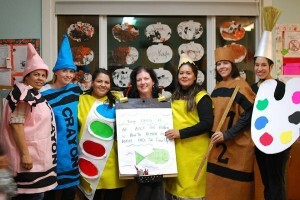 And, of course, all the teachers were there to join in the fun with their school supplies themed costumes. Let’s see, there was an easel, pencil, crayons and what else? A paint box! There were delicious foods to feast on from a variety of cuisines like Filipino lumpia, Mexican enchiladas, Chinese fried rice, Italian lasagna, Middle Eastern hummus and pita, and even Japanese sushi to name a few. Yum! Many thanks to the students at St. Dunstan who volunteered to help out at the craft stations to keep the kids entertained and even helped with clean up in the end!